Buy this Ring Sizer and we will send you a DISCOUNT CODE for 15% OFF your purchase. 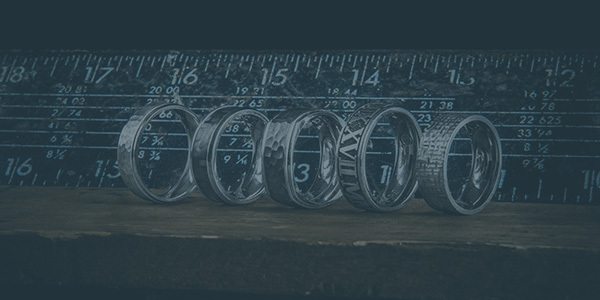 We know ring sizing is something guys just don't know and that is why we are here to help! This simple and effective ring sizer tool will help you find the perfect size prior to ordering from us. And better yet, when you purchase this ring sizer we will send you a Coupon code for 15% OFF your purchase. USA Sizes- 4-13 (includes half/full sizes)- So this will cover most men and will even help out the ladies too! Click to watch our video below on what to expect with your package! Standard Size- This is a pretty common method at jewelry stores and this ring sizer will tell you the same answer. Once you get the ring over the knuckle then you would want it to be snug around the finger. Comfort Fit- The measurement is taken from the center portion of the ring with a sculpted or rounded inside. 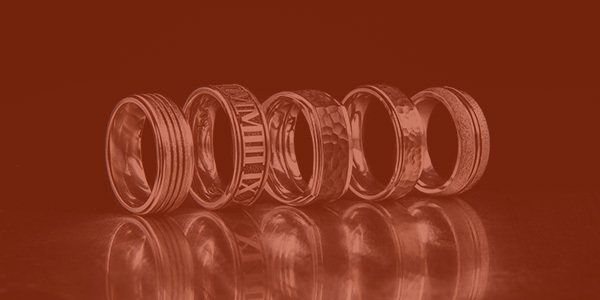 **Most of our rings are a comfort fit design inside. Please remember the wider you go the tighter the ring will fit. The smaller the width the more loose it will feel/fit. Step 1. Test fit a few rings in the group of rings. Step 2 Pull off 3-4 rings that you feel might work. Step 3 Test out sizes to find the one that fits just tight or snug enough. It is up to you if you want it to fit more on the snug side of things or not. Step 4 Head back over to our website to purchase your correct size. Get the sizer and we will send you a coupon code for 15% off your order! It is easy and simple and you don't have to leave your house. ***Please note that no coupon codes are eligible for this product. Must pay full price.